Join us for the inaugural poetry reading and crowning ceremony for Gary Boelhower, the 2018-2020 Duluth Poet Laureate. The event will take place on Sunday, December 2nd, from 2 to 4 pm. at Peace Church, 1111 North 11th Avenue East, Duluth. The event is free and open to the public; there will be refreshments as well as books and CDs available for purchase. Boelhower will be accompanied by violinist Sara Pajunen, an award-winning musician, composer and sound artist based in Duluth. She has released six albums in connection with her Finnish ancestry. Pajunen was the 2015-16 Finlandia Foundation Performer of the Year. The Duluth Poet Laureate Project was founded in 2005 and is overseen by a ten-person committee. Past Duluth Poet Laureates include Bart Sutter, Sheila Packa, Jim Johnson (twice), Deborah Cooper, and Ellie Schoenfeld. The project is co-sponsored by donations from local organizations such as the Friends of the Duluth Public Library, the Arrowhead Reading Council, the English departments at UMD and CSS, Lake Superior College, Minnesota Public Radio, Lake Superior Writers, and many others. Duluth Poet Laureate Gary Boelhower has published three poetry collections: Naming Rites: Poems with Holy Cow! Press in 2017, Marrow, Muscle, Flight: Poems with Wildwood River Press in 2013 which won the Midwest Book Award, and Sacred Times, Timeless Seasons with Hi-Time Publishing in 1986. He was awarded the Foley Prize in poetry from America magazine and a career development grant from the Arrowhead Regional Arts Council. 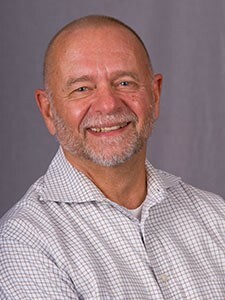 Boelhower is professor emeritus at The College of St. Scholastica where he teaches courses in health humanities, ethics, spirituality, and leadership. He lives in Duluth with his spouse Gary Anderson. Join us on Saturday, December 8 at Perk Place, 1336 West Arrowhead, Duluth for a chance to meet up with other writers and talk about writing. The Writers Cafe meets the second Saturday of each month. It’s a great way to meet fellow LSW members, network, and find members for your writing group. This month’s host is LSW board member Jenna Kowaleski. In this one-hour lecture, Carol Dunbar will share her experiences wrestling with why we stop writing and offer practical techniques for pushing through to the end of a large project. Carol’s work has been published in The South Carolina Review, Midwestern Gothic, The Midwest Review, Literary Mama, Great Lakes Review, and others. In 2018 she won the Hal Prize for fiction, and her novel, The Net Beneath Us, was a 2013 finalist for the Dana Award. Her essays about living off the grid air on Wisconsin Public Radio and as a freelance writer, she has ghostwritten more than fifty nonfiction books on the subject of financial planning. The event will be held in the Green Room at the Main Duluth Public Library, located at 520 W. Superior St., Duluth. This event is free and open to the public. Hello, Gail Trowbridge here! I wish to announce that I am stepping down from my position as LSW Administrator this month, which has included editing NorthWords. Working and volunteering for the organization has truly been a labor of love. It’s been so much fun meeting our members, working with our talented board, and learning about the enormous amount of talented writers in our region. The board is in the process of hiring a new Administrator–we’ll keep you updated. Thank you so much for all your support, friendly notes, and patience with me over the years. Hope to see you at literary events around the region! PLEASE NOTE: The next NorthWords will be coming out mid-January with news about our annual writing contest. Watch for an email from LSW in the new year. Dec 1 (Sat) 5 pm. Author Tim Cochrane will read and sign his new book Gichi Bitobig, Grand Marais: Early Accounts of Anishinnabeg & the North Shore. Drury Lane Books, E., 12 Wisconsin St., Grand Marais, MN. (218) 387-3370. Dec 1 and 2 (Sat-Sun). Katharine Johnson reading/book signing at Julebylen in Knife River with both The Mukluk Ball and The Wind and the Drum. Knife River Recreation Center, 199 Alger Smith Rd., Knife River, MN. (218) 834-6938. Dec 3 – 24 (During business hours). 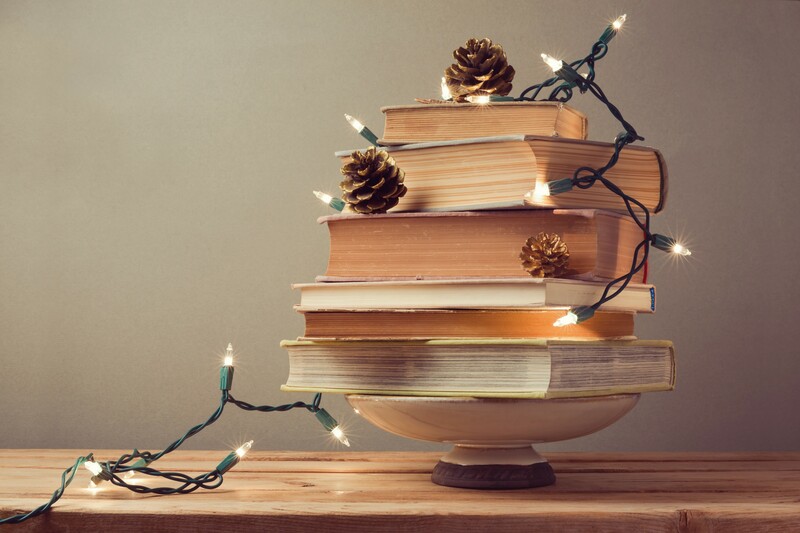 Celebrate Jólabókaflóð (Yule Book Flood), the Icelandic tradition of gifting books, often with chocolate, and cozying up to read on cold winter nights. Zenith Bookstore is doing it again this year with free gift wrapping and complimentary Terroir chocolate. Zenith Bookstore, 318 N Central Ave., Duluth. (218) 606-1777. Dec 6 (Thurs). Katharine Johnson will sign her books at the Aurora Library Christmas Tea. Aurora Public Library, 14 W Ave. N, Aurora, MN. (218) 229-2021. Dec 6 (Thurs) 2-4 pm. Mindy Mejia, author of Leave No Trace, Everything You Want Me To Be, and The Dragon Keeper, will be in the store reading from and signing copies of her books. Zenith Bookstore, 318 N Central Ave., Duluth. (218) 606-1777. Dec 7, 14, and 21 (Fri) 7-8 pm Adult Story Time. Sit back and relax and enjoy short stories, poems, book excerpts read to you by Zenith Bookstore staff and friends. 318 N Central Ave., Duluth. (218) 606-1777. Dec 8 (Sat) 11 am – 1 pm. Author Rose Arrowsmith Decoux and Artist Kari Vick signing and reading their new children’s book The Sock Goblin. Drury Lane Books, E., 12 Wisconsin St., Grand Marais, MN. (218) 387-3370. Dec 8 (Sat). Katharine Johnson signing The Mukluk Ball at the Minnesota Historical Society in St. Paul. 345 W Kellogg Blvd., St. Paul. (651) 259-3000. Dec 15 (Sat) 1-2 pm. Poets will read from the 2019 Wisconsin Poet’s Calendar, Celebrating Wisconsin People during the Poetry Gathering/Reading at Spooner Library. The community is also welcome to share a “people poem” of their own, perhaps honoring someone special in their lives. Calendars and poets’ books will be available for sale. (Additional information: contact Eva at: spoonerlibraryprograms@gmail.com or Karen Turner at: spoonerlibraryclerk3@gmail.com.) Spooner Library, 421 High St., Spooner, Wisconsin. Dec 15 (Sat) 2 pm. Authors from the Star Tribune Rick Nelson and Lee Svitak Dean will give a presentation, signing and Glensheen will be providing Clara Congdon’s shortbread cookies. Free (no tour ticket required). A celebration of the rich traditions, creativity, and taste of the region, The Great Minnesota Cookie Book (University of Minnesota Press) collects the best-loved recipes and baking lore from fifteen years of the Star Tribune’s popular holiday cookie contest. Glensheen Mansion, 3300 London Rd., Duluth. (218) 726-8910. Dec 18 (Tue) 7 pm – A meeting to plan the LSW 2020 Writing Conference meeting will be held at Sir Ben’s. All are welcome. Felicia Schneiderhan has received a 2019 Minnesota State Arts Board grant to work on a novel about the devastating effects of addiction and the hope of recovery. As part of the grant, she will teach creative writing workshops for people in the early stages of recovery. Marie Zhuikov had a story about Isle Royale’s American marten population published in November issue of Northern Wilds Magazine. She had another one about the Apostle Island’s marten reappearance as the cover story in the Dec/Jan Lake Superior Magazine. Marie was also named to the advisory board for the Writing Department at UWS and participated in a “Careers in Writing Night” for students there in November. From the Duluth Playhouse: Calling all female playwrights; we want your submissions for our 3rd Annual What She Said Festival in The Underground! Deadline: December 31. We are looking for short plays and monologues written by women and those identifying as women. Though there are no conditions set on structure, content, or genre, we are seeking works to be part of a celebration of women and their voices. Full details can be found here. WritersRead call for submissions. Deadline: December 15 12 pm. 2018 Theme: Encounters. Submit your work and if our four judges select your work, you’ll be reading your work to an audience in January. If your work is not selected, no big deal. You’ll then have the opportunity to watch the performances from the audience. WritersRead has explored themes of love, food, travel, elements, taboos, transformation, the dark side, and now, encounters—close encounters, missed encounters, near encounters, and so on. The categories: Nonfiction (1000 words), Sudden fiction (750 words), Micro-fiction (300 words), Twitterature (280 characters–up to 10), and poetry (up to 10). Submit via our online submission form through December 15. The performance will be held Friday, January 25 at Northland College. Dec 16 (third Sunday) 1:30 pm – The LSW Memoir Group will gather at the house of Ray Allard, 210 West Kent Road. We are a friendly, casual group and we offer helpful positive observations on anyone’s work that is read. Feel free to join us. contact Ray at northstar02@charter.net. Dec 19 (third Wednesday) 6 pm – The Third Wednesday Writers Group will meet at the Perkins restaurant at the Miller Hill Mall, 1302 Miller Trunk Highway, Duluth. We are an open genre group for all writing venues (poetry, memoir, long prose, short prose, fiction/nonfiction, etc.). The group is facilitated by Rodney Savary, 218-464-7701, r.a.savary@gmail.com.